Thyme; The delicate, pleasant smell has become a popular herb widely used in Eastern European and American cuisines. In Botany, it belongs to the lamiaceae family and is known as the Latin name satureja hortensis. Capable of adapting to different climate conditions, thyme requires the sun to grow. In general, height can reach about 40-60 centimeters. The plant is dark green, smooth leaves and small purple flowers. Apart from a few foreign varieties, there are also garden thyme. Especially used as herbal tea. It contains the chemical compounds thyme, carvacrol and thymol , which are grown in Mediterranean and Middle Eastern countries and contain high volatile oil. Thyme plant, which can benefit from many aspects, shows antioxidant properties. At the same time, thyme plant, a good source of fiber, can help to lower bad cholesterol. On the other hand, it increases good cholesterol levels in the body. 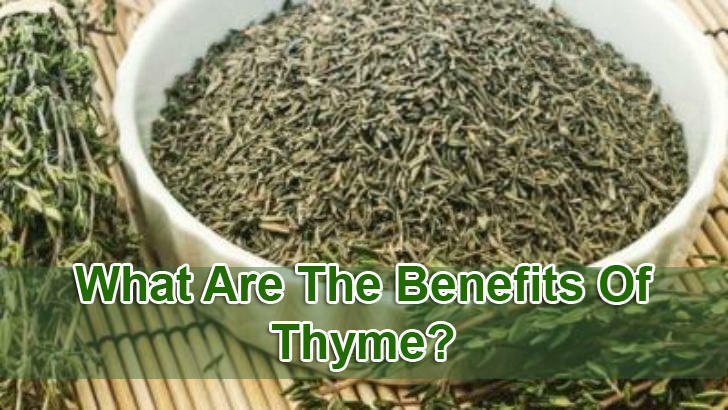 Thyme, which contains a large amount of vitamin B, Iron, calcium and zinc, supports health. Thyme has many features that can help fight fungal infections. E. it offers antibacterial properties that are useful for combating bacteria such as coli and honey. You can use the water prepared with thyme plant to get rid of both fungal problems and to open your breath. 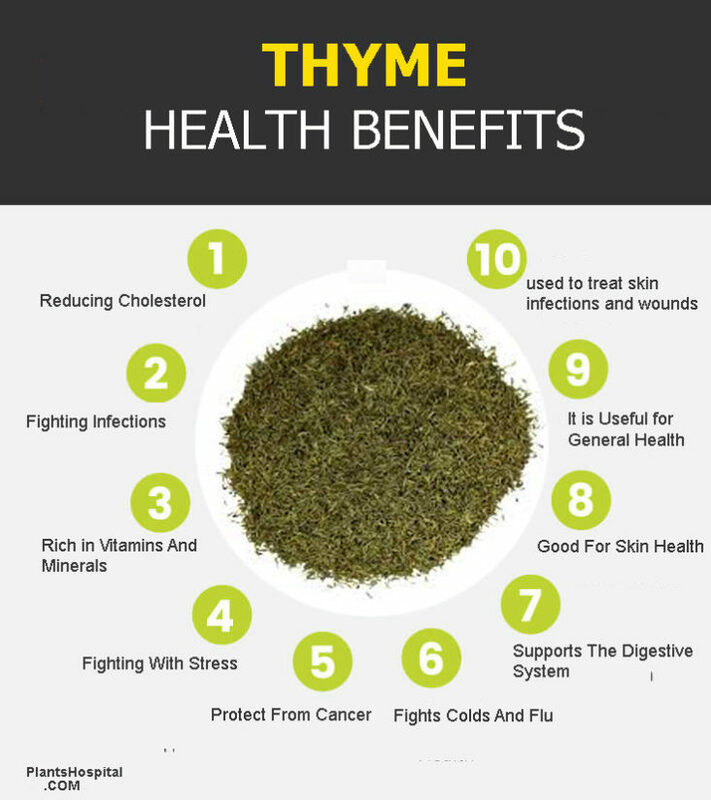 Thyme, rich in a few basic minerals and vitamins, is also helping to maintain optimum health. Thyme leaves are an excellent source of potassium, iron, calcium, magnesium, manganese, zinc and selenium. Potassium plays an important role in the function of cells. At the same time, it affects heart rate and blood pressure. Manganese content, on the other hand, works as an antioxidant. Iron is used by the body to create red blood cells that are known. B vitamins, A vitamins, C vitamins, thiamin and pyridoxine. When it is consumed dry, it helps fight stress through its contained pyridoxine. It plays an important role in the brain by acting on GABA levels. Vitamin C in thyme works as antioxidant and fights free radicals. Thus, it prevents inflammation in order not to be released. Vitamin A, on the other hand, helps to protect healthy mucous membranes and skin. Vitamin A, which is a good supporter in eye health, protects against lung and oral cavity cancer. Thyme can be used as a tea during colds and flu season. This herbal tea can reduce the chance of getting the flu or the flu. Because thyme contains soothing oils, it can fight sore throat, throat itching and cough during the cold and flu. Tea prepared with thyme supports the digestive system by showing a relaxing feature for bad stomach, bloating and diarrhea. In particular, it can be used as a tonic to prevent diarrhea. A mild diuretic, thyme, benefits as a diuretic. 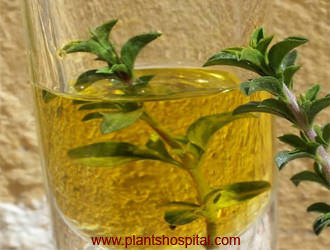 Drinking Thyme Tea is also very effective for healthy liver and bladder health. Acts as a good disinfectant and is also used to treat skin infections and wounds. For a more powerful skin, you can take advantage of the steam of hot water prepared with thyme. For the treatment of oily skin, approximately 20 grams thyme and 500 ml of water will suffice. Apply to skin for 15-20 minutes. 1.) It has been widely used in kitchens for many years. In addition to providing many medical qualifications, its use extends beyond the kitchen. Thyme Tea is a good option for brewing. It tastes pretty good, though. 2.) Thyme Tea has been shown to have an effect on enhancing the immune system. It is rich in vitamins and minerals essential for the healing of the immune system. 3.) Especially in the cold and flu season is useful to consume. In addition to being a pleasant tea, it helps to reduce the likelihood of catching the cold or flu. 4.) Another practical use of Thyme Tea is that it helps relieve common problems of the digestive system, such as small pains, bloating and diarrhea. 5.) This tea is good for upper respiratory tract disorders. A cup of thyme tea can be used to heal sore throat and throat pruritus. 6.) Contains an oil known as thymol. Timol has antiseptic and antibacterial properties. Timol also exhibits antifungal properties. 7.) Means supplying many vitamins and minerals at the same time. These nutritional values, which are extremely beneficial to health, can be classified as vitamin C, B-complex and vitamin A vitamins. 1.) Thyme oil is known as an antiseptic oil. For this reason, it is a popular ingredient added to creams used to treat wounds. In the same way, burns, cuts, wounds and even abscesses are used for treatment purposes. It is also demanded in the construction of toothpaste and mouthwashes. 2.) In the past, people have used thyme oil as an aphrodisiac. The studies confirm this. Massage oils blended with Thyme oil can be a good aphrodisiac. 3.) 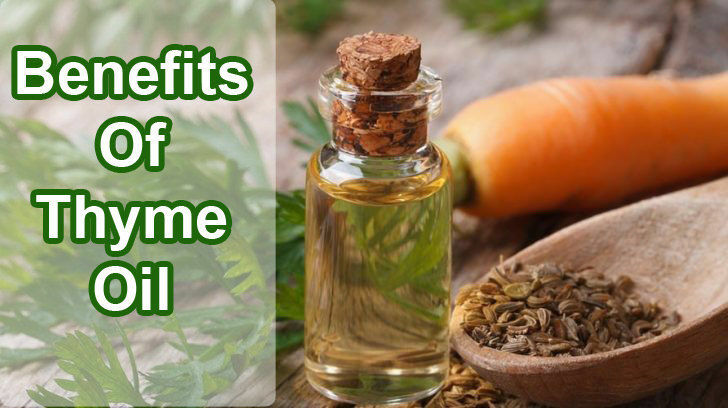 One of the most striking features of thyme oil is that it is anti inflammatory. In this case, it can treat fungal infections. In addition, many people have discovered that this oil is an ideal oil for psoriasis treatment. 4.) On a day that is physically and mentally stressful, thyme oil can provide a therapeutic benefit with aromatherapy properties. thyme oil mixed with different essential oils provides tranquillity and comfort after inhaling. • It is normally considered safe for anyone to eat or drink tea and use either oil. Be aware that you can use the procedure in skin problems. However, avoid applying it directly to the skin. It would be better to use diluted thyme oil. • Excessive consumption is not true. When consumed too much, it can aggravate fever and some cardiovascular diseases. • Consumption is not recommended during pregnancy and breastfeeding. There was not enough research on the use of these periods. • If you are taking any medicine, or if you want to know if it is right for you, you should consult your doctor before consuming the medicine. Fresh and dry thyme leaves can be used for meals. Like rosemary marjoram and it has a sharp smell. Mixtures of these plants can also be pleasant. You can use extra food. To give it taste, it is useful to add after cooking. * Fresh thyme leaves can be used in salads. * Prepared with thyme herbal teas are very popular. * This plant is also used to prepare soups and sauces. * In addition, it is used for chicken, fish, meat recipes, along with other spices.